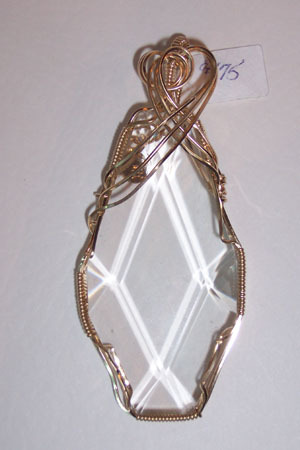 115.00Antique clear chandelier crystal pendant sculpted in 14kt rolled gold. This pendant is beautifully faceted, very elegant. Measures 3"x1.25".